Kentucky Car Insurance Quotes and Regulations « Car Insurance Calculator – Car Insurance Estimator for You! Nearly all car insurance policies have a provision that will adjust your coverage from the minimums required in your state to the minimum insurance or proof of financial responsibility in another U.S. state. So you do not need to get a new insurance policy for each state you are driving through. However, if you buy a policy in a low limits state (like Kentucky or Kansas) but live in a high limits state (like Alaska), insurers will only write a policy where your car is principally garaged. So if your home is in Alaska, you should buy the minimum limits for Alaska. Kentucky is a “Choice No Fault” state. You may refuse the “no fault” opting to not purchase PIP insurance. You must opt out by declining the “no fault” option in writing. Otherwise, you are presumed to have chosen the “no fault” option. If you decline the no fault option, you can maintain the right to sue for your damages under general liability/tort system for injuries or deaths as a result of an auto accident. If you opt out of the “no fault” system, Kentucky is a comparative negligence state. A comparative negligence legal defense is one that reduces the amount of damages that a claimant/plaintiff can recover for an injury due to negligence based on percentage of which the claimant’s/plaintiff’s own negligence contributed to cause the injury. So, if you have an accident, you and the other driver could be each at fault for 50% of each others’ damages. However, just because you have the same percentage of fault, does not mean you “cancel” out each other damages. You will have to pay for 50% of the other driver’s damages. So if you total their $50,000 car, you will be liable for ½ of the damage you caused – $25,000. In Kentucky, a first time offense of Driving Under the Influence (DUI) is a misdemeanor offense. If you are 21 years or older, if you have a Blood Alcohol Content (BAC) level of .08% or higher while driving, Kentucky law presumes you are driving under the influence. If you are under 21, a lower BAC may apply to you. If you BAC is over .18%, harsher penalties may apply. If convicted, you will be sentenced to a minimum of 2 days up a maximum of 30 days, which may be increased to a minimum of 4 days if you cause an accident, have a minor under 12 in the vehicle, driving over 30 Mph over the posted speed limit, driving the wrong way on a freeway, or have a BAC over .18%. You may be required to attend mandatory court ordered alcohol and drug education or treatment program for at least 90 days. Fines can vary from $200.00 to $500.00 plus court fees. Your license will be suspended for at least 30 days and up to 120 days. A SR-22 is not required for restoration of license after suspension. However, if you move from a state that requires a SR-22 to Kentucky, you will be required to maintain your SR-22 filing requirement in Kentucky. If convicted, you will be sentenced to a minimum of 7 days up a maximum of 6 months, which may be increased to a minimum of 14 days if you cause an accident, have a minor under 12 in the vehicle, driving over 30 Mph over the posted speed limit, driving the wrong way on a freeway, or have a BAC over .18%. You may be required to attend mandatory court ordered alcohol and drug education or treatment program for at least 90 days. Fines can vary from $300.00 to $600.00 plus court fees. Your license will be suspended for at least 12 months and up to 18 months. A SR-22 is not required for restoration of license after suspension. 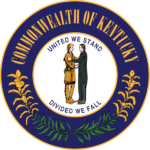 However, if you move from a state that requires a SR-22 to Kentucky, you will be required to maintain your SR-22 filing requirement in Kentucky.